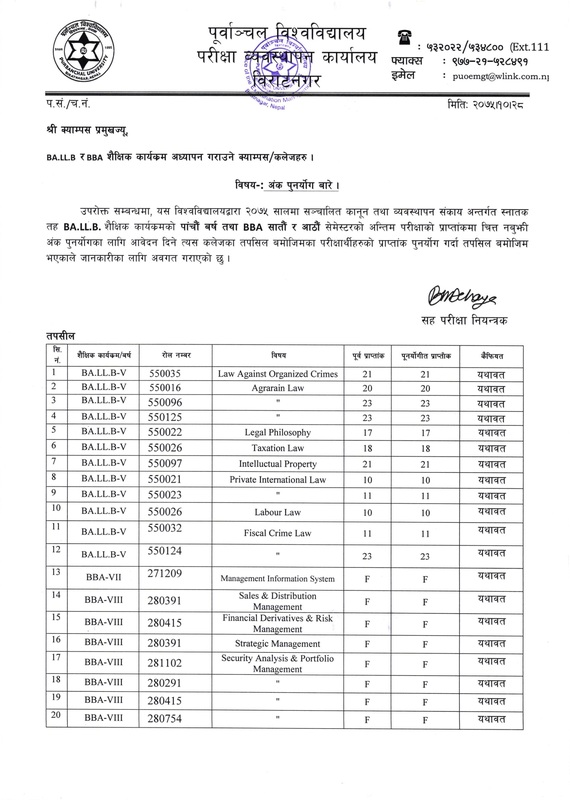 Purbanchal University, Office of the Examination Management, Biratnagar published the retotalling result for BA.LL. B (Bachelor of Laws) fifth year and BBA (Bachelor of Business Administration) Seventh and Eighth Semester. The examination was held during 2075 BS.